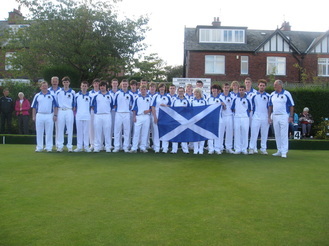 The Scotland U17 team completed a memorable hat - trick against England (Northern Counties) Under 25 team at Gosforth Outdoor Bowling Club in Newcastle on Sunday 18th September 2011. 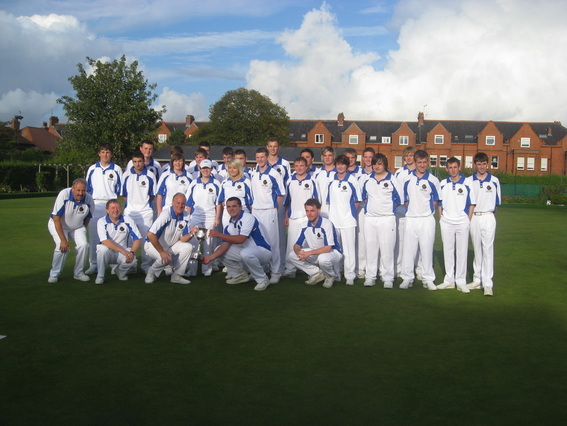 The teams comprised of 6 rinks of 4 players from each country, and played 21 ends against each other in this annual match. 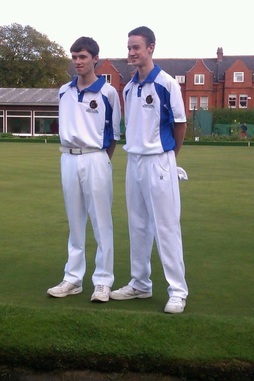 Local interest was on Andrew Reilly of Westhill Bowling Club and Jason Banks of Inverurie Bowling Club who were both making their debuts for the Scottish Young Bowlers Association National Under 17 National Team. The Aberdeen & Kincardine boys were selected to play together on the same rink. 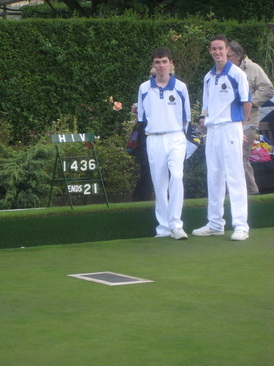 Their lead was Ryan Cherrie from Lanarkshire, the second was Steven Reid from Midlothian. Andrew Reilly played third and Jason Banks skipped the rink. After a poor start their rink managed to pull off an impressive 36 - 14 victory against the ‘auld enemy’. Jason and Andrew enjoyed playing alongside each other and all 4 of their rink played well together and did themselves and their country proud. In a very closely contested match against the noticeably older English side, Scotland pushed ahead during the last 5 ends to win the match 129 - 112. This was a marvelous team achievement across all of the 6 rinks, and made it three wins in a row for Scotland in this event. It was a proud moment for the SYBA manager David Ferguson and the other SYBA selectors, President Gordon Wotherspoon and Past President Neil McMonagle. It was great to see the Scotland team captain, Kyle McKinnon of Perthshire, being presented with the cup to a massive cheer from the large traveling support - and so the trophy came back up over the border on the team bus once again. The team got to keep their Scotland shirts as a momento, which had been embroidered with the match date and details. This will surely be an experience that both the local lads and the whole Scotland team will always remember.